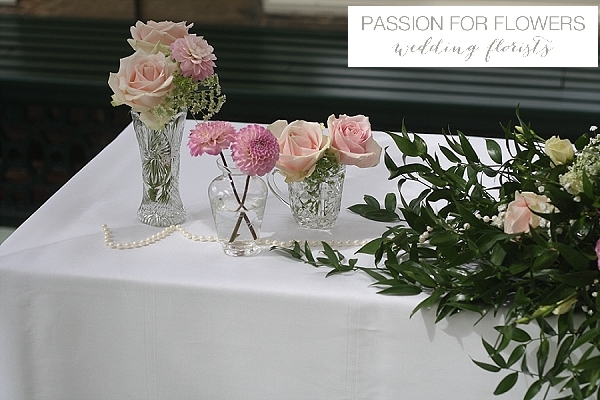 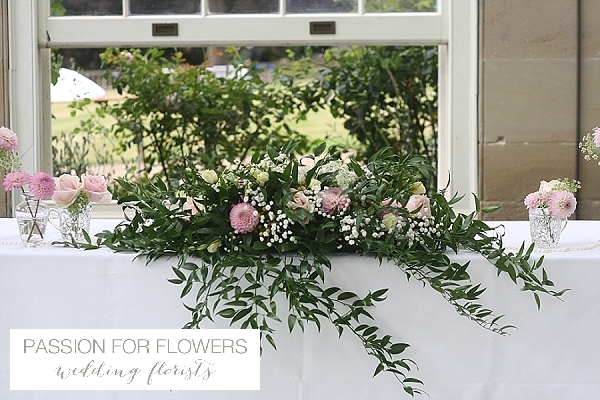 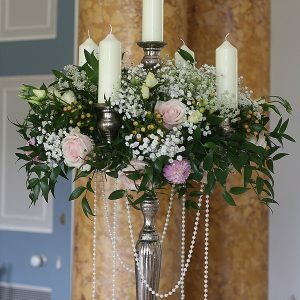 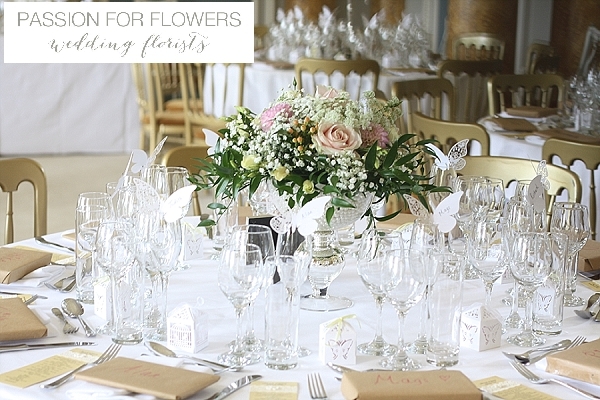 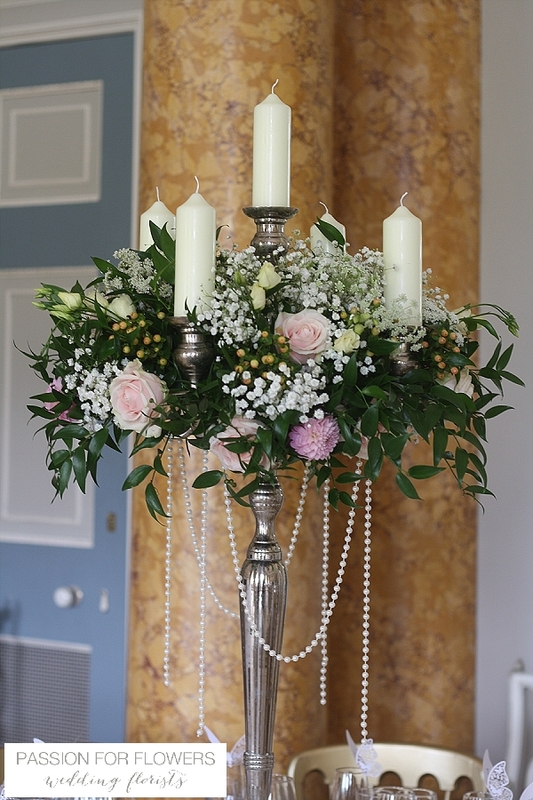 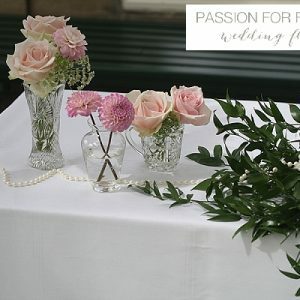 We love creating Stoneleigh Abbey wedding flowers. 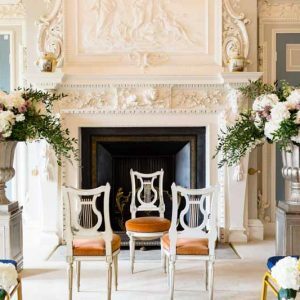 The fairytale setting of Stoneleigh Abbey in Warwickshire has played host to Kings Charles 1, Queen Victoria and Jane Austen in beautiful surroundings that hint of romance at every turn. 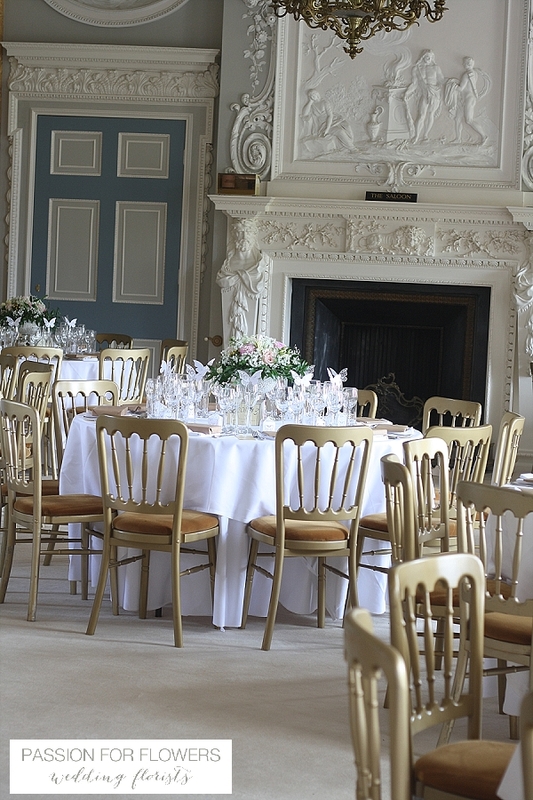 Stoneleigh Abbey is a wonderful venue for weddings set in a large parkland. 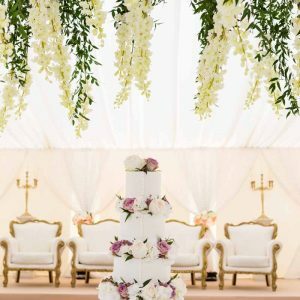 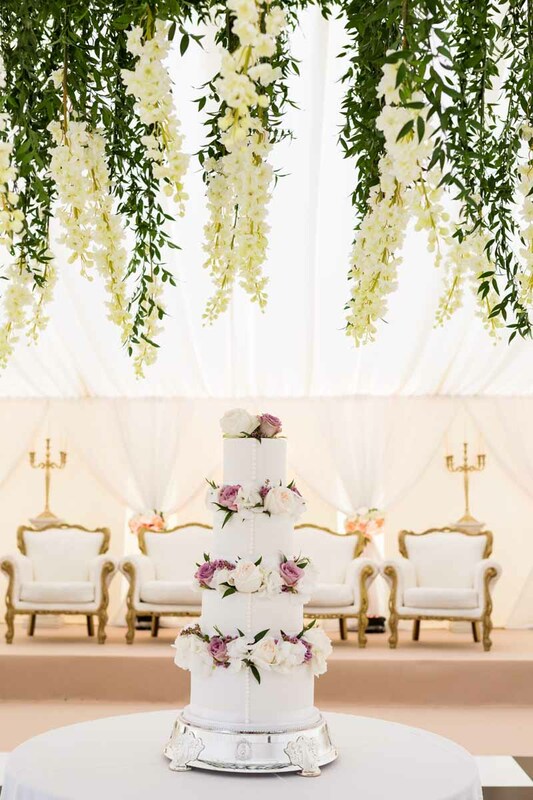 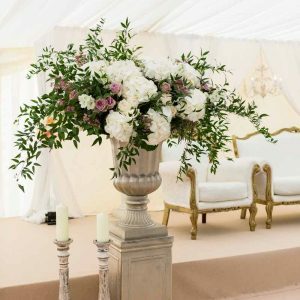 The elegant and ornate Saloon works wonderfully with soft romantic flowers and large arrangements for a traditional wedding. 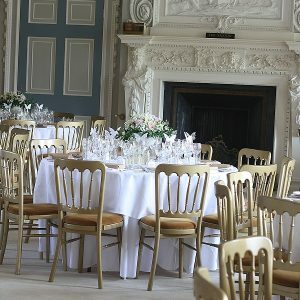 The timber beamed Victorian Banquet Hall is also available for traditional weddings with plenty of scope for decoration. 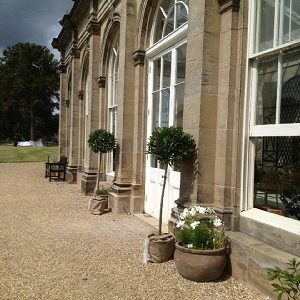 The Orangery offers a wonderful setting for a summer ceremony with its riverside location. 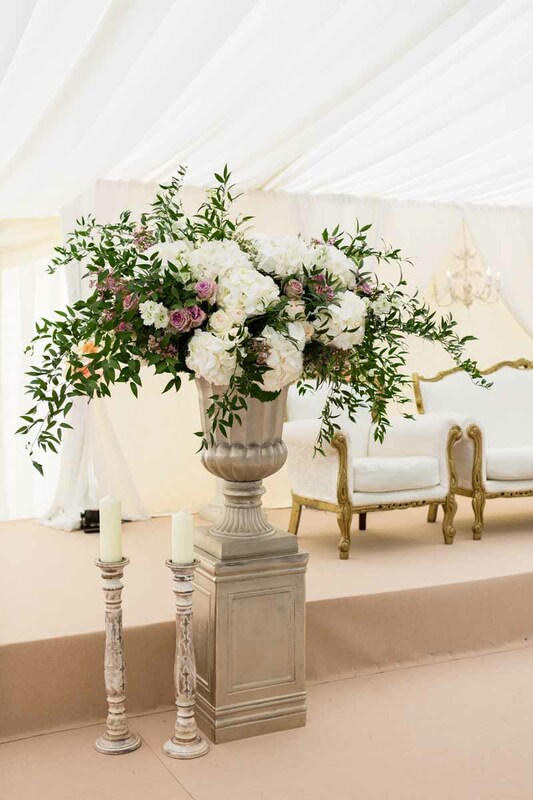 We love both tall and low centrepieces in the Saloon, for the wedding below we mixed tall candelabra with low footed bowls in soft pink and peach tones. 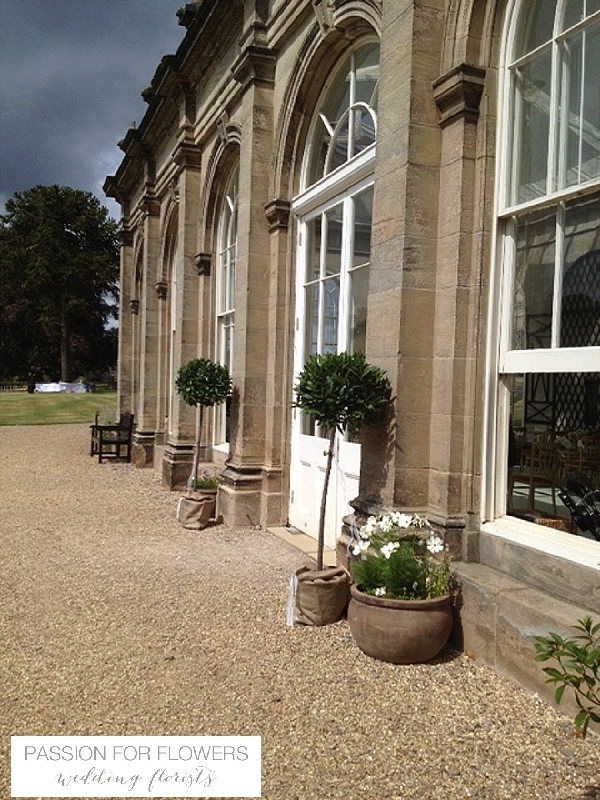 Bay trees make a perfect welcome to the Orangery. 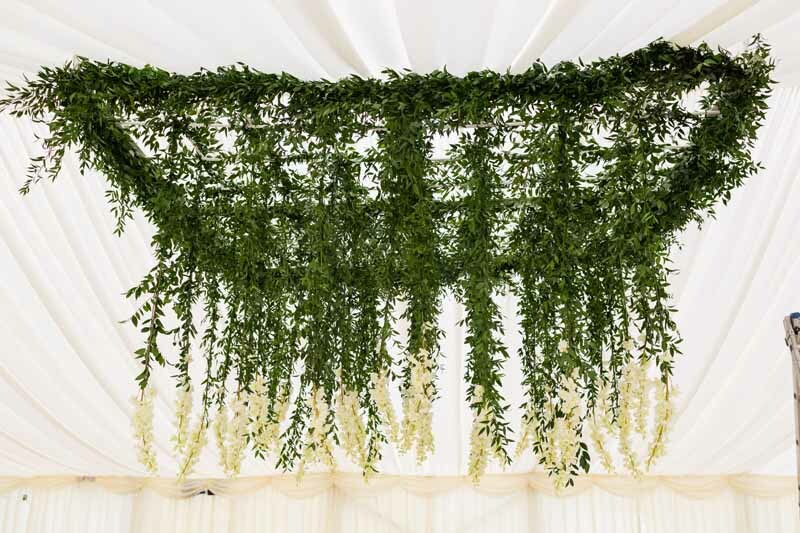 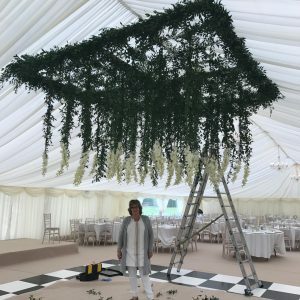 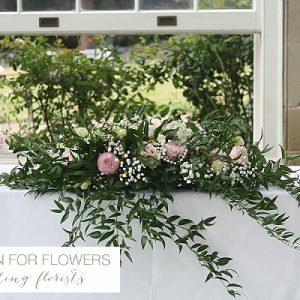 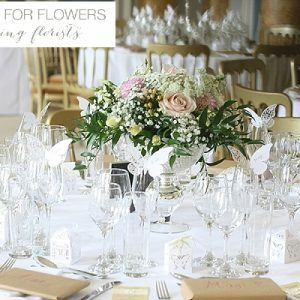 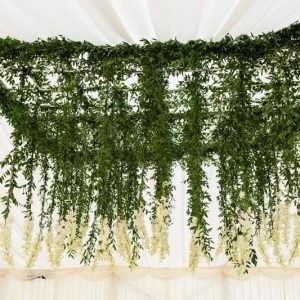 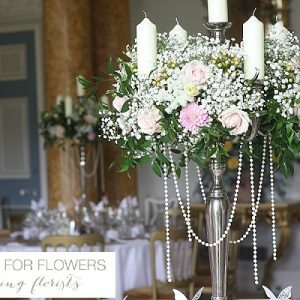 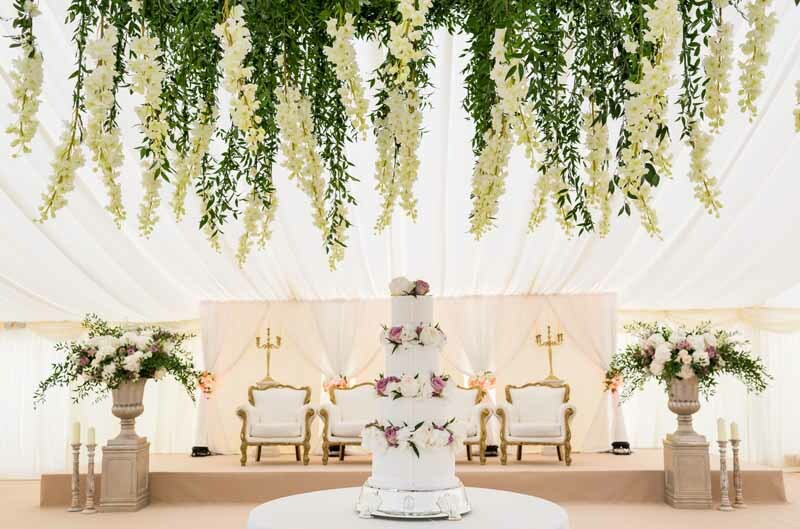 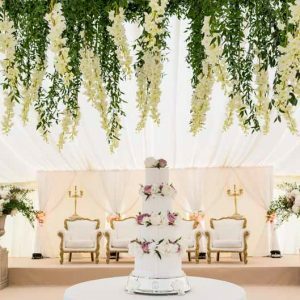 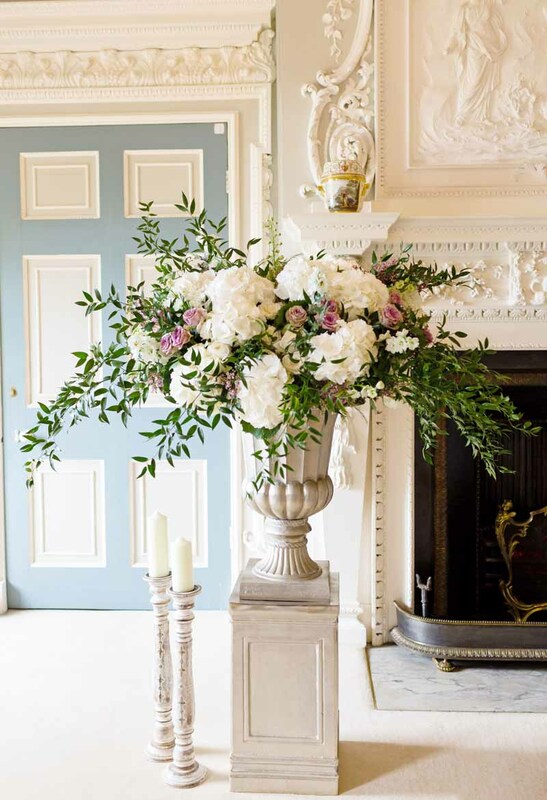 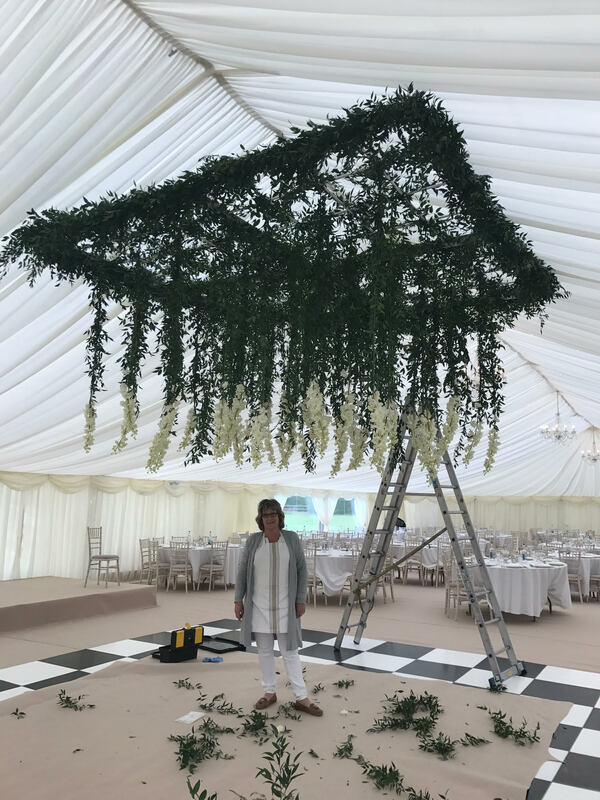 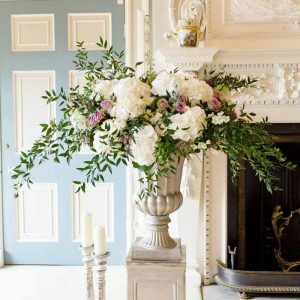 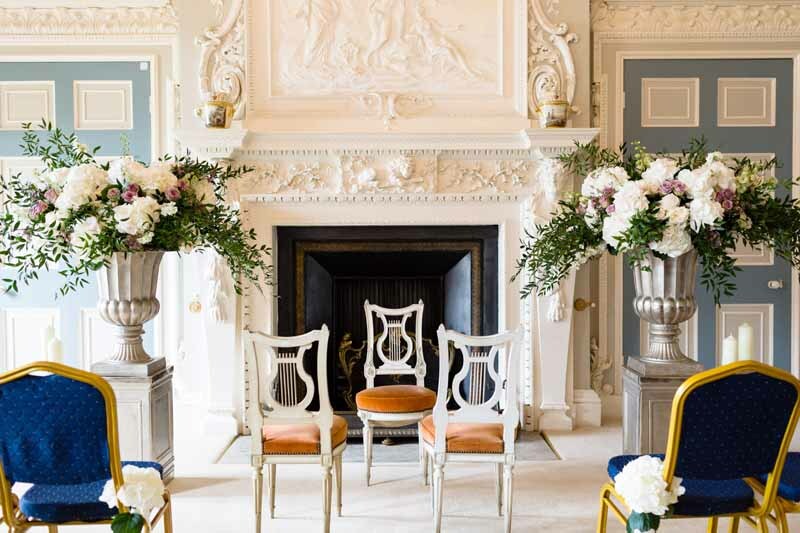 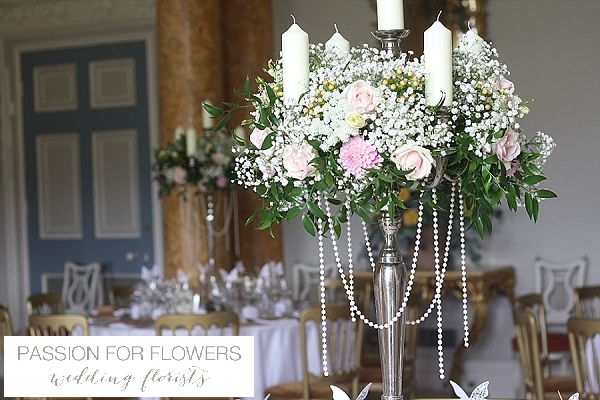 If you are looking for a wedding florist for your Stoneleigh Abbey wedding please get in touch, we would love to discuss your ideas with you.